Dr. Danielle Ryan grew up in Richmond, VA and completed her B.S. degree in Business Information Technology at Virginia Tech. She earned her Doctor of Dental Surgery degree from Virginia Commonwealth University School of Dentistry. Due to her academic performance, knowledge and proficiency in general dentistry and exhibiting potential to become an outstanding general dentist, she was awarded the prestigious Senior Student Dental Award and academic scholarships while in dental school. Dr. Ryan has always been an active leader in the Virginia Academy of General Dentistry, Virginia Dental Association and the American Dental Association. 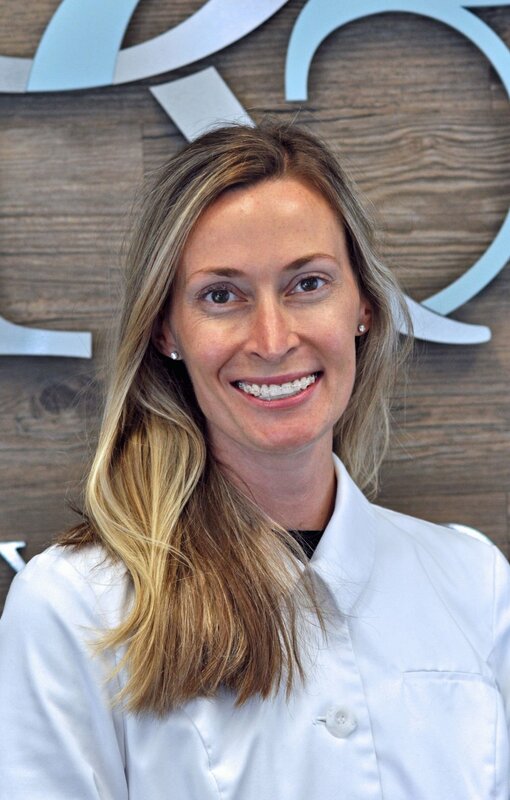 She has served in many different roles, including President, of both the Virginia Academy of General Dentistry and the local component of the Virginia Dental Association and is currently an Alternate Delegate for the American Dental Association. Dr. Ryan is committed to dentistry as a profession as well as patient care in private practice. Dr. Ryan and her family moved to Northern Virginia from Charlottesville, VA. She and her husband, Steve, have a daughter, Kiki and a son, Max. In her free time, Dr. Ryan enjoys spending time with her family, healthy cooking, running, biking, traveling and cheering on the Hokies and Washington Nationals.